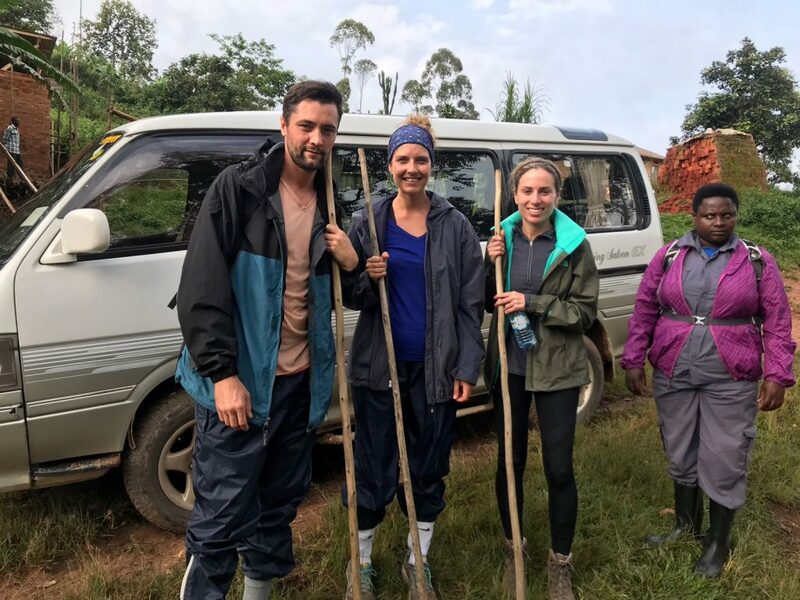 Rebecca (above centre), from the USA, had been teaching in Uganda for a year when she joined us for the 7-Day Adventure. 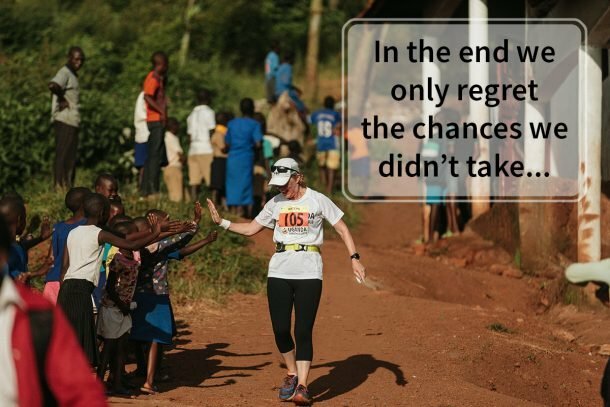 Below she chats to us about why she signed up, the volunteer days, the gorilla trek and the race – where at the last minute, she switched from the half-marathon to the 42K, to run her first ever marathon! 1. What made you sign up for the Uganda Marathon? I moved to Mbale, Uganda in the summer of 2017 to teach for a year. I actually just googled “Uganda marathons” and found the race. 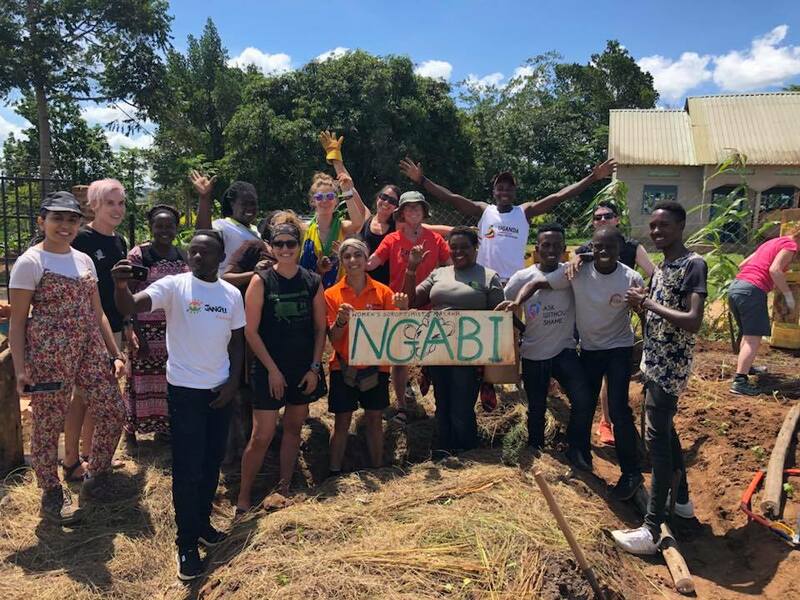 My school year ended a couple days before having to be in Masaka and didn’t think twice of participating in this once in a lifetime opportunity! 2. What project did you visit on Legacy Day? What was it like to volunteer there? I worked with the Women’s Soroptimists. It was inspiring to visit the women’s prison and hear some of their stories and spend time with them. I enjoyed also working to make the feminine hygiene products as well and seeing how the organization truly makes a difference. 3. Could you tell us about your experience of Race Day and running the half marathon through Uganda? So, I actually decided on Race Day to complete the full marathon. I trained for a half and have run multiple halves before. But why not do your first full in Uganda!? It was one of the best days of my life. I just walked the hills and ran a bit slower than my normal pace and felt great the whole time! A great lifetime memory! 4. 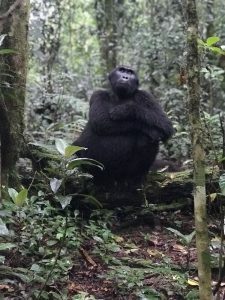 After the 7-Day Adventure, you took part in the Gorilla trekking. Could you tell us about the experience and your highlights? 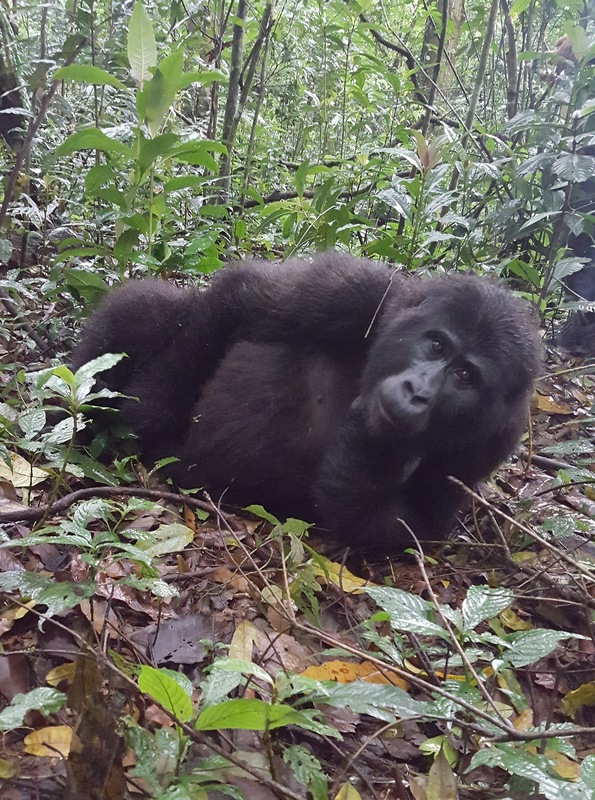 After living in Uganda for a year and travelling to various places in Africa while there, Gorilla Trekking was the best experience I had. I enjoyed staying in the mountains with no cellular or internet service. The time hiking in the Rain Forest and spent with the family of 14 gorillas was like nothing I have ever experienced. Even the drive through the Bwindi mountains was majestic and unforgettable. I enjoyed trekking more than the safari I went on a couple months prior. 5. Finally, what was your favourite memory from the 7-day Adventure? I have a couple of favourite memories. One was the day we planted our gardens at the recycling plant. I am not a gardener by any means, but had so much fun with my clan/team. I was amazed to see how much we accomplished in a short time. And not just our clan/team, but the many of us that were there that morning. When we work in unity and towards the same cause, the work is more joyful and the results are so much greater. My second favourite memory was on Legacy Day. We were packaging feminine projects and Joshua (a local young man who was part of our team for the week) began to share how the race (meeting people) has changed him and his perspective on westerners. It was one of, if not the most humbling moments in my life. Being present with people hearing their stories and listening to their hearts is one of my greatest passions. I think this also affected me so deeply because of my year spent in Uganda and never hearing this perspective. We are all so much more alike than we are different! A big thank you to Rebecca, the Glass Passport and Global View Photography for sharing these great photos with us!